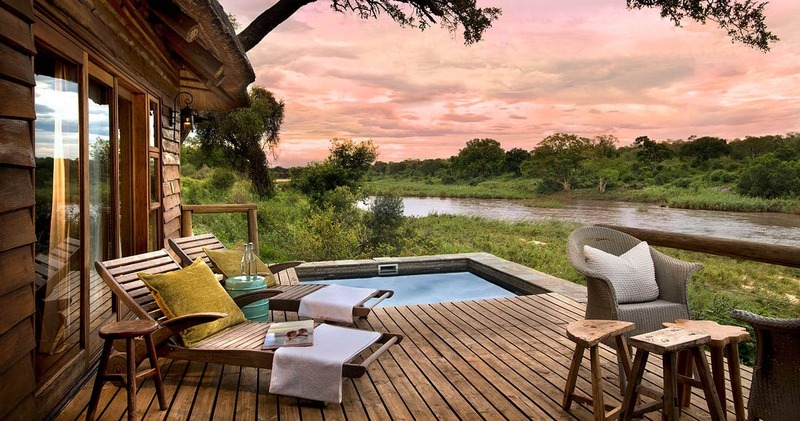 Narina Lodge is situated in Lion Sands Game Reserve – the only private game reserve rooted in both the Sabi Sand Game Reserve and Kruger National Park. The Sabie River forms a natural boundary between its two sides. 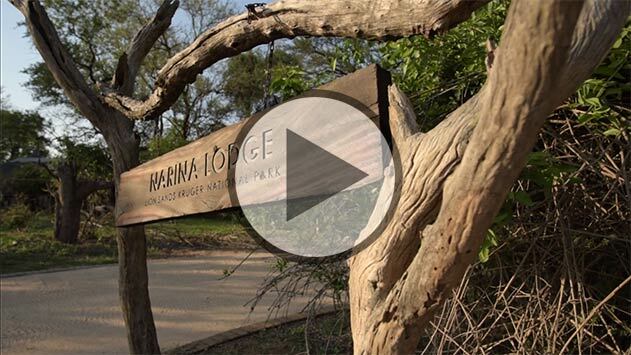 Narina Lodge is on the Kruger National Park side. The lodge is constructed on stilts, unobtrusively blending between the riverine trees on the banks of the Sabie River. 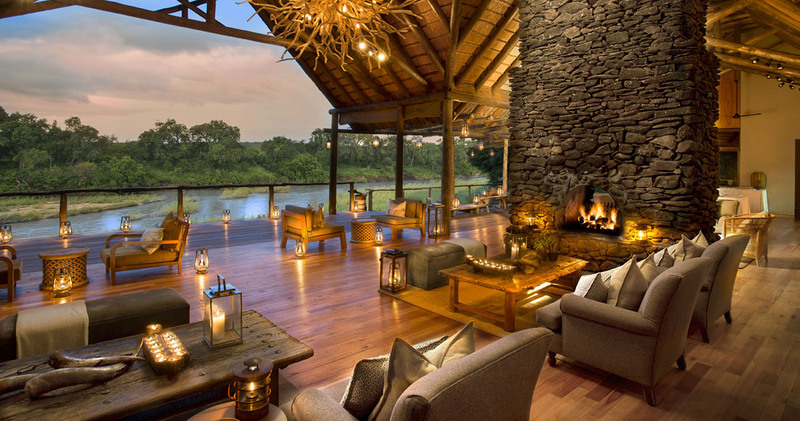 The main lounge, bar, wine cellar and library are decorated in a true African Safari style, with some furnishings huddled around the fire place and the rest making full use of the open sided section, which becomes the extensive viewing deck. Just nine spacious thatched suites are connected to the main building by raised wooden walkways. Each suite is fully air-conditioned with mini bars and personal safes. 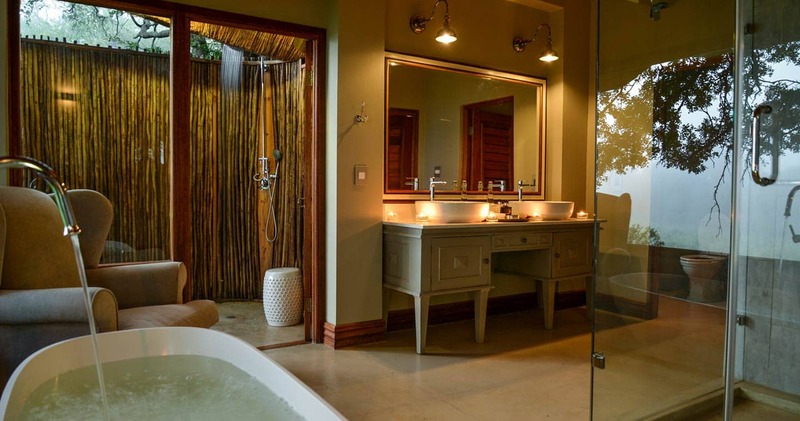 The en-suite bathrooms have double vanities, outdoor showers and large free-standing bath tubs with views of the river. The bedrooms open onto private viewing decks and secluded plunge pools. Staying at Lion Sands Narina Lodge gives you the perfect opportunity to spot the Big Five in the Lion Sands’ Kruger National Park concession. Safaris are organized twice daily. Lion Sands Narina is one a very popular places to go on safari, and with good reason: the field guides, who will join you during your safari adventure, are passionate, well-trained and experienced. This area is also known for its frequent leopard sightings. Furthermore you may participate in after-breakfast bush walks, wildlife lectures, bush dinners, stargazing (during game drives and bush dinners) and local community experiences. Narina Lodge also has a spa sala offering a range of treatments at the hands of expert therapists with natural and ethically-formulated Africology products. Absolutely unique is the option to sleep out under the stars in one of the Lion Sands tree houses (optional and at an additional cost). Experience the magic and combine your Lion Sands safari adventure with a visit to the world's most enchanting city: Cape Town. We may offer you two nights in Cape Town completely free when booking a three night stay at Lion Sands Narina Lodge. In beautiful Cape Town you will stay at More Quarters Hotel (one bedroom apartment) or Cape Cadogan Boutique Hotel (standard room). This special offer is applicable for arrivals between 4 January 2019 and 30 April 2020 (offer not valid between 18 December 2019 and 3 January 2020). Valid for a maximum of two rooms (four guests). Or perhaps you rather wish to see the majestic Victoria Falls. In that case you may opt for our special offer that allows you to stay in Victoria Falls for two nights free of charge. In Victoria Falls you will stay at the brand new Stanley & Livingstone Boutique Hotel. This special offer is applicable for arrivals between 1 November 2019 and 31 March 2020 (offer not valid between 18 December 2019 and 3 January 2020). Valid for a maximum of two rooms (four guests). Are you looking to visit Sabi Sands with your significant other? Lion Sands offers a reduced rates for newlyweds. Spend three nights at Lion Sands Narina Lodge and one of the happy couple gets 20% off the accommodation price! This special offer is valid from 7 January through 17 December 2018, from 4 January 2019 through 17 December 2019 and from 4 January through 17 December 2020. This special rate may not be combined with any other special. We stayed here in October 2012. The staff were very attentive and treated us very well. The room was super with floor to ceiling windows and a view of the Sabi River. The meals were wonderful and we saw all the big animals just fee from our range rover. Our ranger and tracker were wonderful. Loved the outdoor dining at night. We had a fab barbeque dinner one night. the staff sang and danced for us. It was our anniversary and the chef prepared the best chocolate and butter cream cake I have ever had. The staff decorated our room with flowers and drew a bubble bath with roses in it. We were just amazed and delighted. It was the trip of a life time. We stayed at the Narina lodge. Amazing "rooms" (more like palaces) with views of the river and occasional animals. The food is outstanding too, but this is all overshadowed by the great guides, trackers, and game viewing. In 3 days of drives, we saw lions and tigers twice each, rhinos and giraffes a few times, and countless elephants and buffalo. Also we had great sightings of baboons, antelope, crocs, and hippos. The rangers really go all out to help you get up close. If you can afford it, I would absolutely recommend it. In the winter, it seemed to us that 3 nights was the perfect amount of time. The villas are stunning. They are large and beautiful with incredible views of the river. There is a beautiful soaking tub a double indoor shower and an outdoor shower too. All with beautiful views of the river. There is a small plunge pool and deck where guests can choose to rest and enjoy the beauty of the river and the animals while resting in between drives. 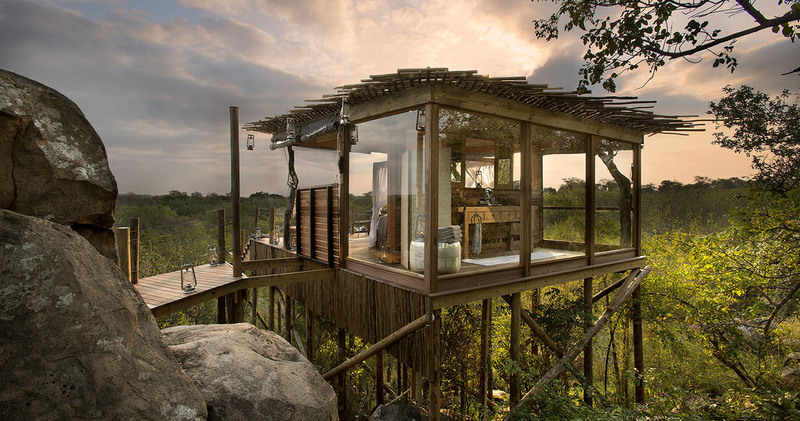 Narina Lodge offers the option to sleep out in one of the Lion Sands treehouses. Please enquire below if you are interested in this option. 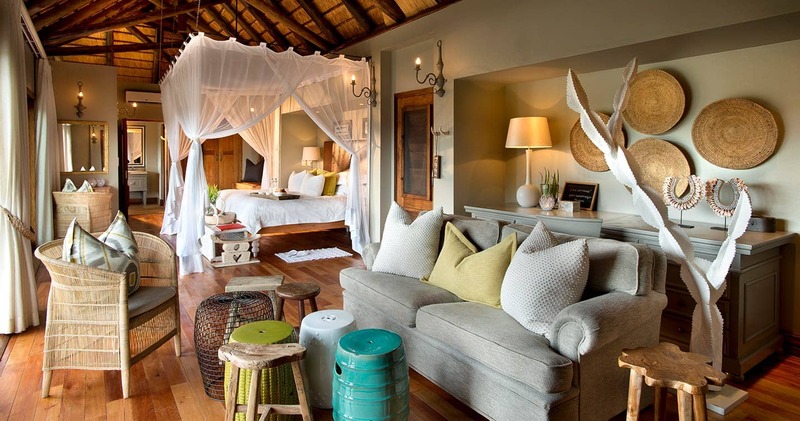 Read all about travelling to Lion Sands Narina Lodge on our getting to Sabi Sands page. Lion Sands is best accessed through Skukuza Aiport. Lion Sands Narina does not allow children under the age of 10 years. Children between the ages of 10 and 15 will be charged 50% of the adult sharing rate (given that they sleep in the same room as the parents. Children of 16 and older pay the full adult rate when in their own room. We hope you have found all information needed to decide that Lion Sands Narina Lodge in the Kruger National Park is the perfect place for your next travel adventure. Please fill in the contact form and we will get back to you soon!